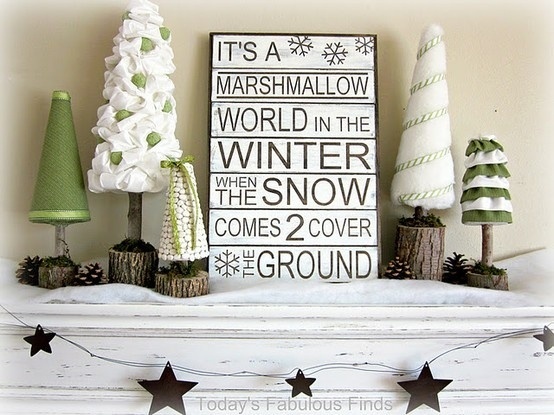 So..when all of the holiday decorations come down, how do you decorate your fireplace mantel? 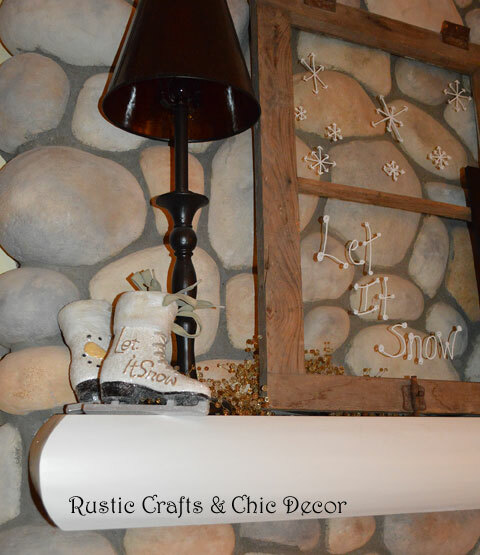 If you had a hard time pulling that last Christmas decoration off the mantel and still want to keep it seasonal, there are plenty of fun ways to decorate Winter mantels. I, for one, love snowmen and ice skates. I put them out at Christmas and am always glad that I can at least keep those out for a couple more months. 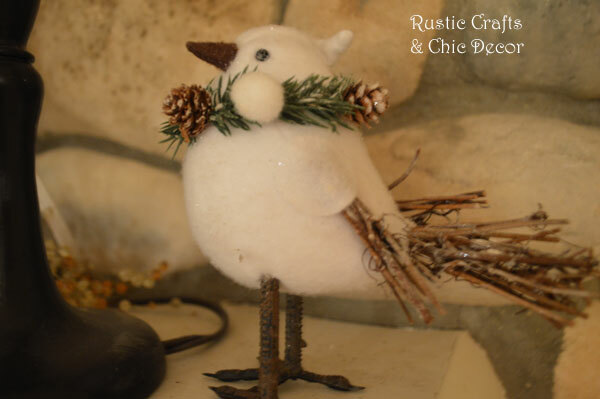 My other big passion, for any time of the year, is birds. 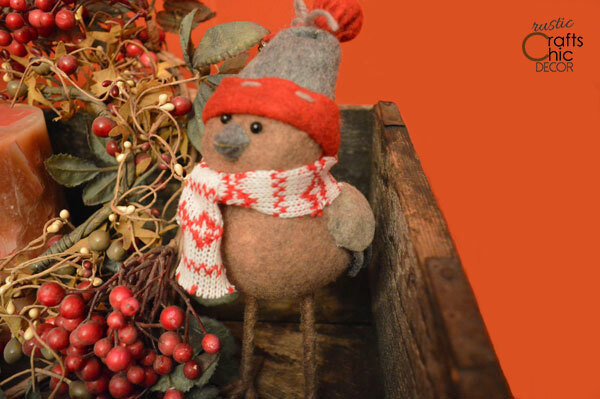 But for the winter, I happen to have a couple with little scarves around their necks….ahhh…they are just so cute! I put a vintage window on my mantel this year which I wrote “Let It Snow” on with a chalk marker. The ice skates that I put on the mantel also had the same phrase on them. The funny thing is that ever since I put them up, it hasn’t stopped snowing…..I might have to take them down! 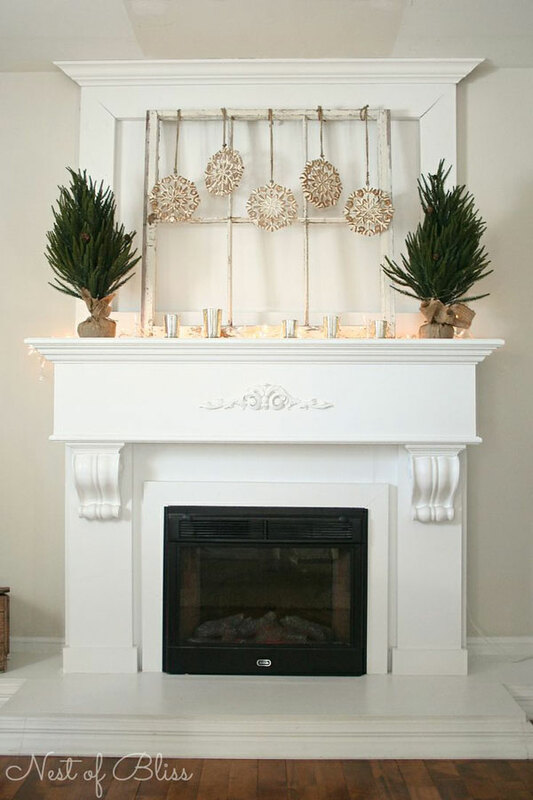 The pom pom garland on this mantel reminds me of snowballs. I also love the Valentines art on this with the verse from I Corinthians 13: 4-8. That is perfect winter decor in my book! 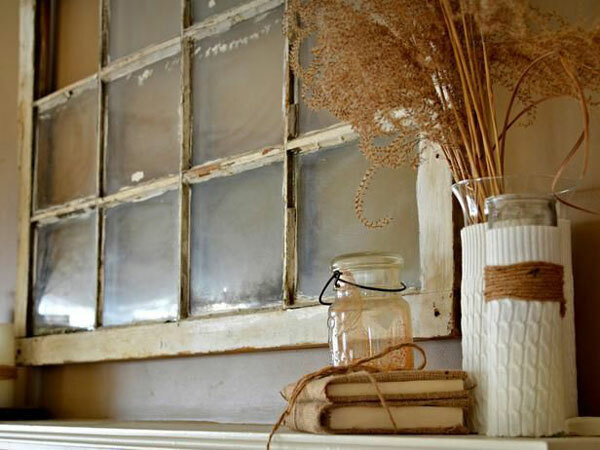 This winter mantel is so incredibly rustic and whimsical that I could just stare at it all day and smile. The simplicity of the snowflakes hanging from a vintage window is all that is needed to make a gorgeous winter statement. 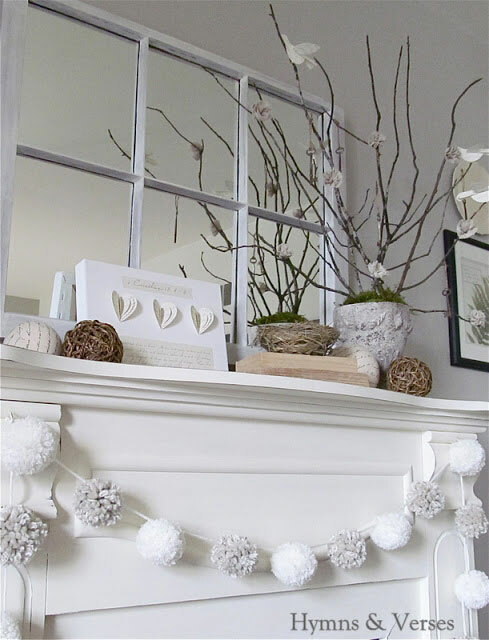 Dressing vases up in white sweaters seems appropriate for a winter mantel!